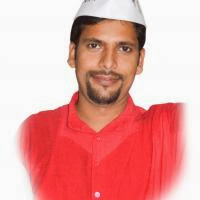 Aam Aadmi Party had declared Sanjeev Jha as the MLA candidate for Delhi Assembly Elections 2013 from the Burari constituency. Below are the some of the details about Sanjeev Jha. From last 12 years working with the friends for providing free education to the childs living in backward areas. Also started a society with navpallav that helps to finds the jobs for the people coming from the other state in delhi. He had actively involved in the Anna Hazare anti corruption movement.